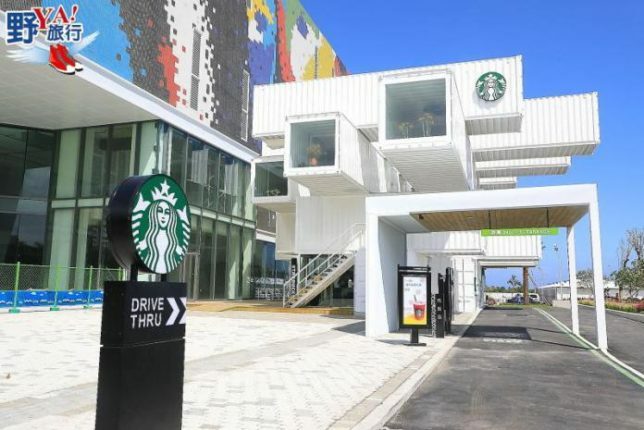 Starbucks‘ new double-decker drive thru restaurant and cafe in Taiwan’s Hualien Bay Mall was constructed using 29 recycled shipping containers. Starbucks may be known for spelling (and occasionally misspelling) customers’ names on its containers but that hasn’t put the coffee superpower off containers per se. 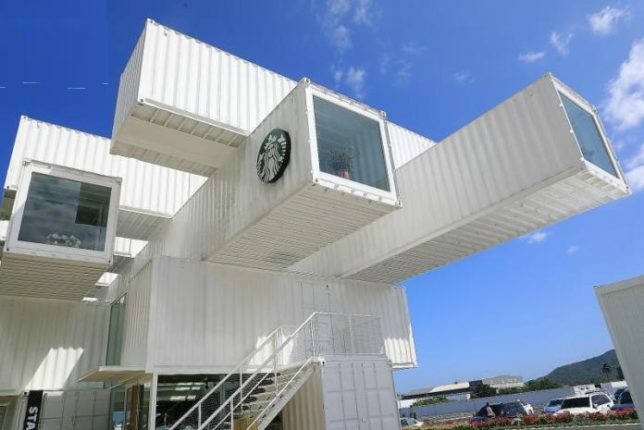 Far from it, in fact: re-purposing shipping containers into sipping cafes fits hand-in-glove with the firm’s environmentally-friendly Greener Stores framework, a program that aims to design, build and operate 10,000 greener Starbucks stores globally by the year 2025. 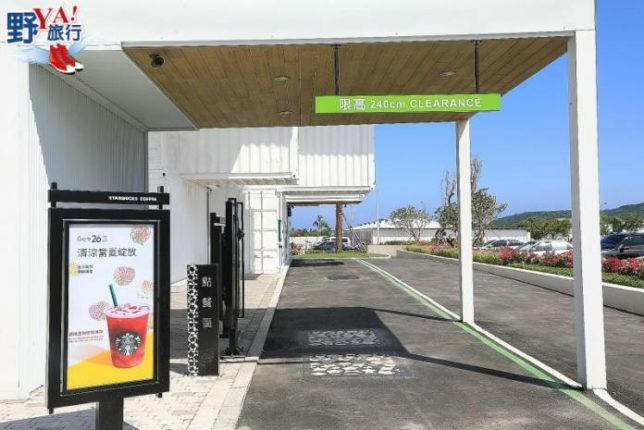 Our featured Starbucks store is the first retail storefront to open in the Hualien Bay Mall, located in the Taiwanese city of Hualien. This city of just over 100,000 residents is located on the Pacific Ocean seashore in northeastern Taiwan, roughly 30 minutes by air from the capital city of Taipei. The store is designed to serve customers on-the-go via an integrated drive thru, or indoors where 320 square meters (3,445 square feet) of well-lit, comfortably furnished space fosters an atmosphere of peaceful relaxation. Website YA! Travel posted the images above on September 25th of 2018. Renowned Japanese architect Kengo Kuma penned the store’s exterior design, shown above under construction in early 2018. This isn’t Kuma’s first espresso-shot, either: his name is written all over (figuratively speaking) a Starbucks store in the southern Japanese city of Fukuoka and the highly anticipated Starbucks Reserve Roastery in Tokyo. 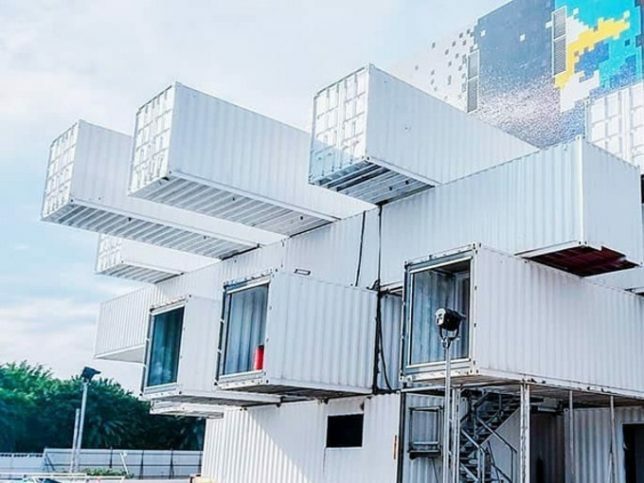 Those two projects don’t involve the use of shipping containers, however, as Kuma has never worked with this “medium” in ANY of his previous projects. 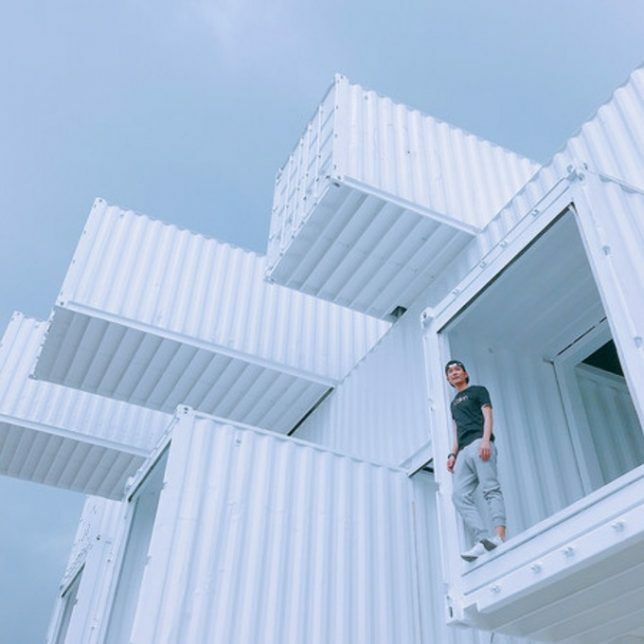 Working with shipping containers poses certain challenges to architects, putting it mildly, but the jumbo metal boxes offer certain benefits. In the case of the Hualien Bay Mall store, stacking the shipping containers one atop the other resulted in a much taller main floor ceiling. 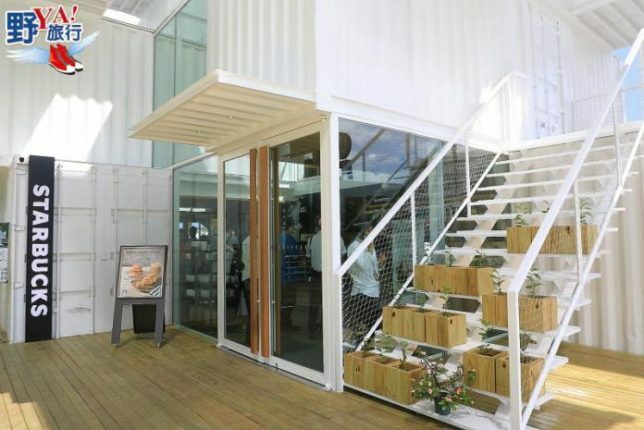 The containers are also amenable to modifications such as skylights, which allow for the ingress of natural sunlight. 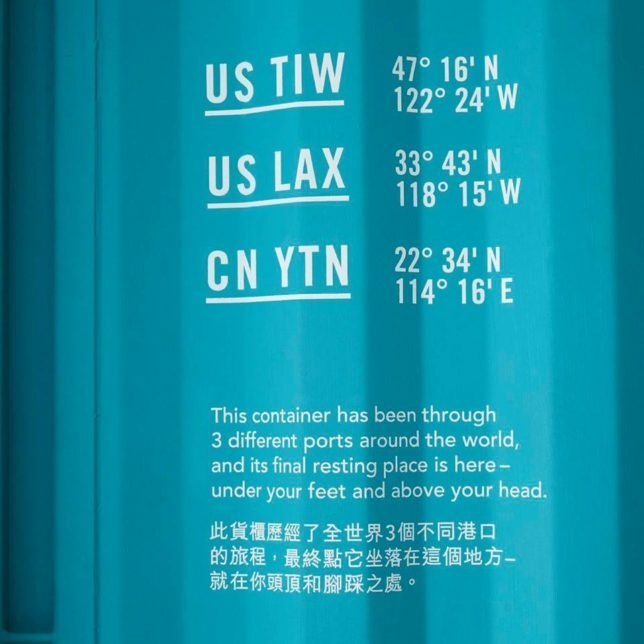 Off-the-shelf shipping containers aren’t exactly known for being inwardly brilliant. 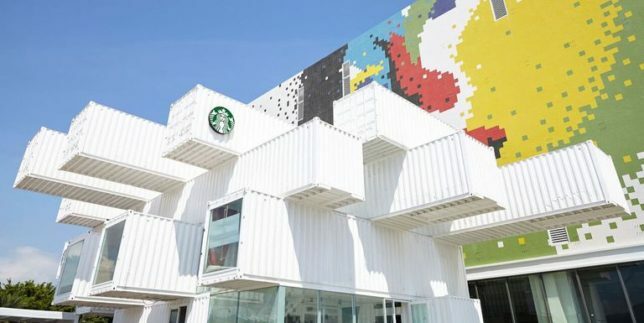 Dressing up the Starbucks store’s interior – aka, reducing the cold, harsh, shipping container vibe – took a colossal effort but the results speak for themselves. OK, we’ll speak a bit as well: the decor style was an homage to the rich cultural history of Hualien City. Colorful murals evoke the heritage of the Sakiraya Taiwanese aboriginal people who gave the town its original name of “Kiray”. Plush, comfortable customer seating areas provide scenic views of the rugged Zhongyang (“Central”) mountain range. 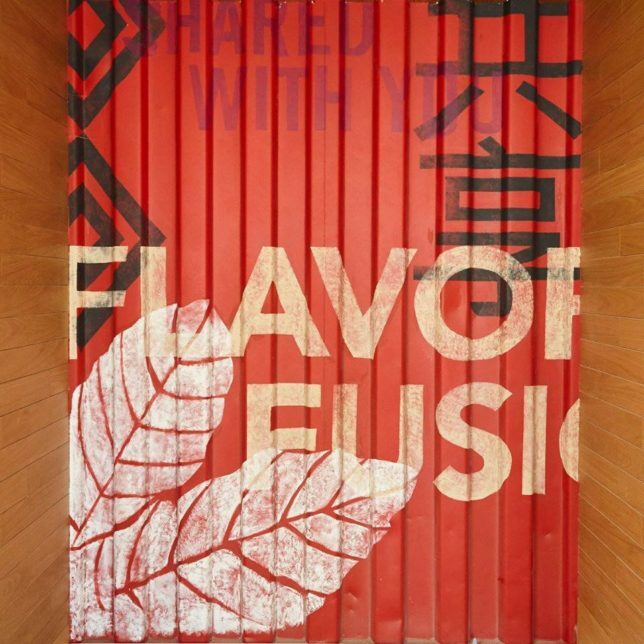 Other graphic decor features illustrate the story of coffee, one of humanity’s most cherished beverages. 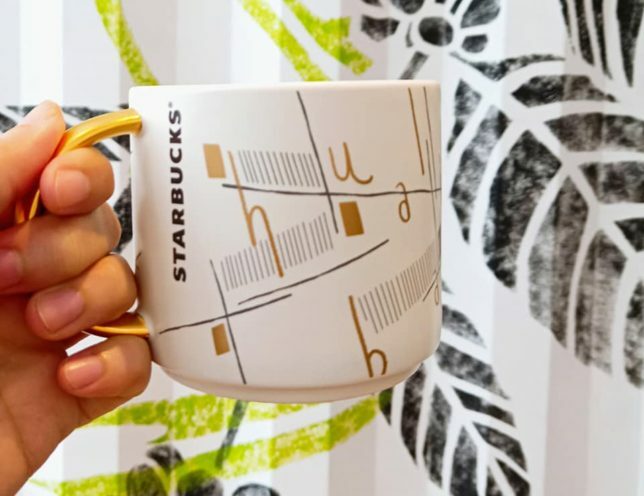 Those coffee cups are cool, too. 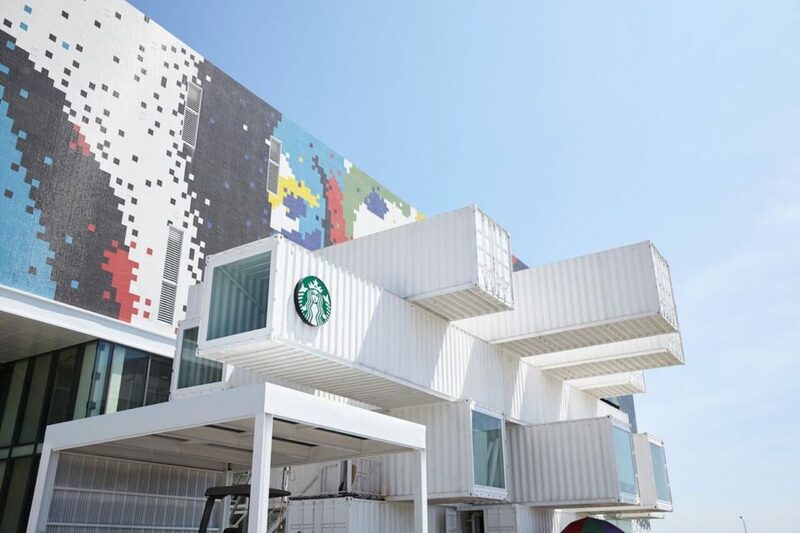 The new Starbucks store at the Hualien Bay Mall in Taiwan is the latest cafe to be constructed from recycled shipping containers. 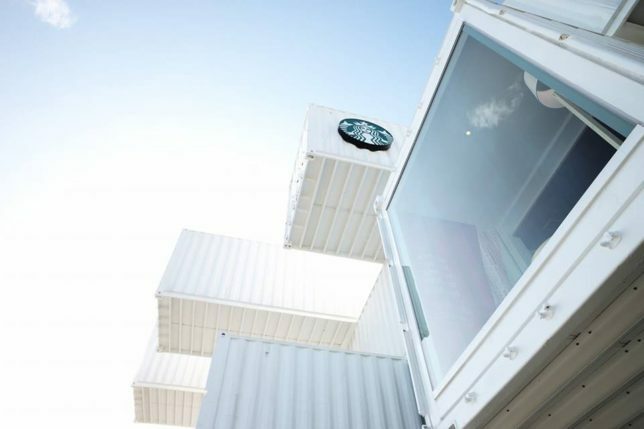 In the United States alone, Starbucks has opened 45 modular cafes, pre-fabricated and built off-site. 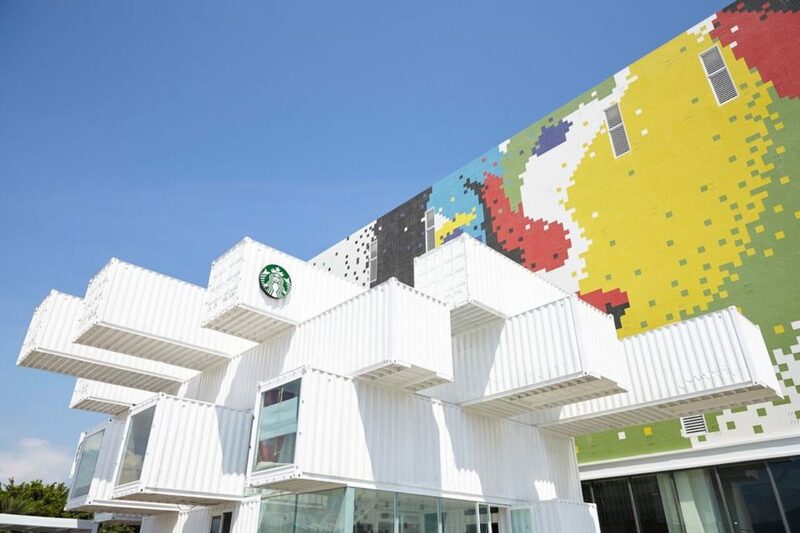 This construction method allows Starbucks to open stores in areas and regions that are not easily amenable to traditional store construction. At the same time, the company can minimize the environmental impact of construction while integrating reused, recycled and reclaimed materials in their designs. 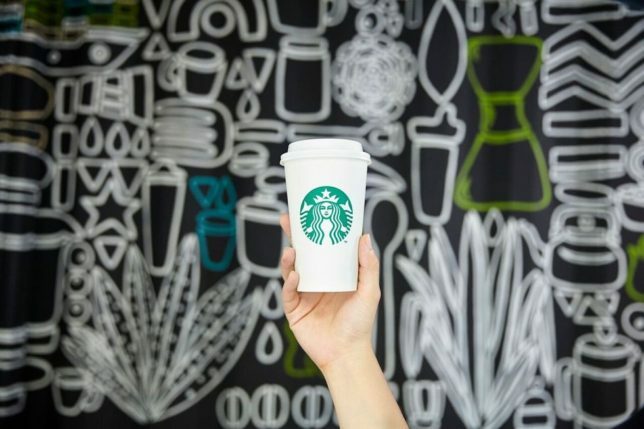 After a slow start, Starbucks seems to have embraced the concept of green business as appealing to its target demographic without abandoning the pursuit of profits. The push is coming from the executive suite. “Simply put, sustainable coffee, served sustainably is our aspiration,” states Kevin Johnson, President and CEO of Starbucks. 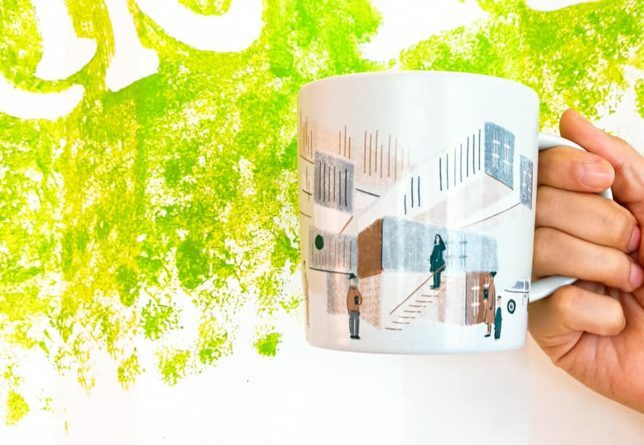 “We know that designing and building green stores is not only responsible, it is cost effective as well.” Mull on that a while – while you sip a frappuccino, of course.